Come to me______, all you who are ________ and burdened, and I will give you_______. If you were asked to sit face-to-face with Jesus, what would happen? What do you think he would say? What in your life wearies you? What wears you down or exhausts you? From what do you need rest? Where do you find rest when life wears you down? 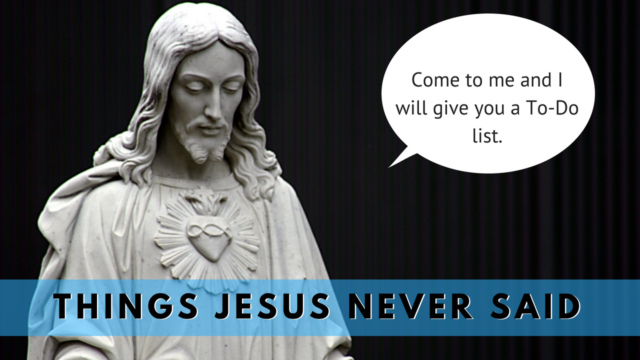 What kind of invitation is Jesus offering to you? What are you learning from Jesus about how to do life?